On Monday, October 30th we officially closed on our new home! We were originally suppose to close on Halloween, but when we went in to sign final paperwork Monday morning they told us we could close that day if everything got wired over in time. As soon as we were done signing we booked it to the bank to get the money wired over. Then we went over to the house to meet the now former homeowners. They wanted to show us how the pool and everything worked because it’s pretty high-end. It was really neat getting to meet the former homeowners and them giving us a walkthrough of the place. Later that day we got the news everything went through so by end of day the house was officially ours. We met our realtor to get the keys at the house and celebrated! I’m so excited and happy! 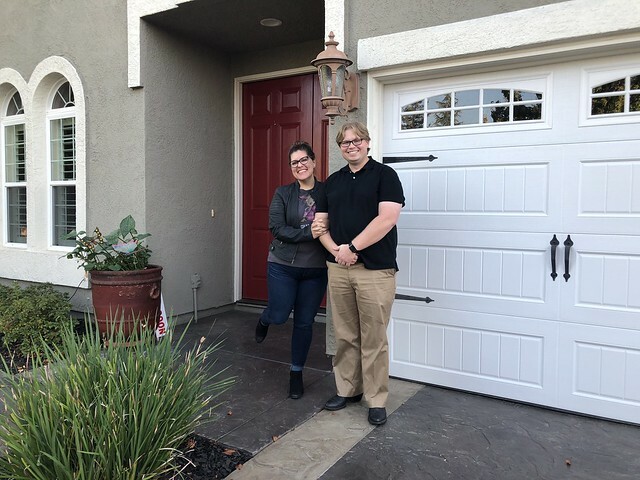 We got our dream home!